One of the most daunting things to deal with is surgery. Having a surgical procedure may involve a lot of pain, the chance for complications and risks, and necessary accommodations on the part of the patient and his or her loved ones. This is why most doctors try to make surgery a last resort option, offering many less invasive ways to treat injuries or conditions so that surgery can be avoided. The good news is that many injuries can now be treated with minimally invasive surgery, providing a more viable option than open surgery. One alternative to a traditionally done surgery is fixing a rotator cuff through arthroscopic repair. The rotator cuff is a group of tendons and muscles around a person’s shoulder joint that supports movement and strength. The rotator cuff keeps the arm bone in the socket of the shoulder. When the rotator cuff gets injured or damaged, it causes pain in the shoulder and results in less functionality and flexibility of the shoulder/arm. Injuries can happen due to a variety of reasons including accidents, overuse, and aging. A car or sports accident can injure or tear the rotator cuff. Overusing the arms doing overhead motions through sports like baseball or through professions like painting or machine work can also damage the rotator cuff. Simply aging can increase the risk of damaging the rotator cuff. The risk of tearing a rotator cuff increases above the age of 40. 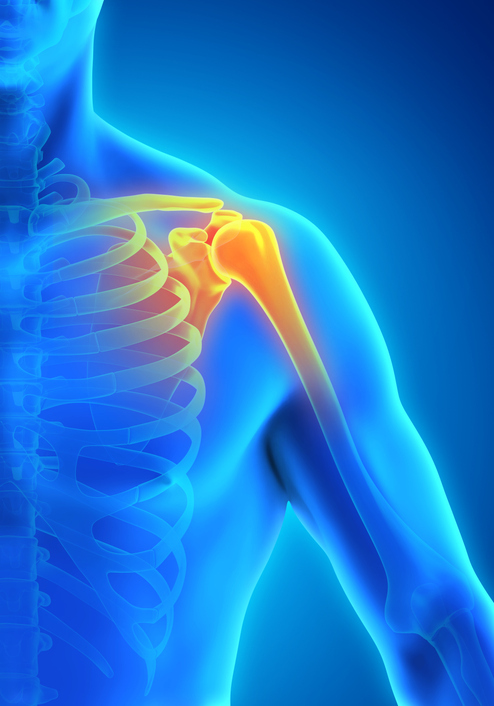 If a person has a significantly damaged or torn rotator cuff, surgery may be required to fix it. The most common types of procedures to fix a rotator cuff are open tendon repair, tendon transfer, shoulder replacement, and arthroscopic tendon repair. While the first three require the shoulder to be opened up using large incisions, arthroscopic tendon repair doesn’t. During an arthroscopic tendon repair, a small camera called an arthroscope is inserted via small incisions into the shoulder. The doctor watches a live feed of the camera to guide small tools in and around the rotator cuff to make repairs. Here are some benefits of an arthroscopic rotator cuff repair. Less invasive – Only small incisions are made to perform this procedure. This reduces the amount of scarring and pain associated with the incision. Because the procedure is less invasive, less surrounding tissue is impacted because of the procedure. Less recovery – Because the procedure is less invasive, there is less time required for recovery in terms of wound healing. The patient will be off his or her feet for less time with an arthroscopic rotator cuff surgery than with a traditional surgery. Less chances of complications – Similarly, there is less risk of complications developing because the procedure is done using a camera. This type of procedure gives the same benefit as an open surgery but because the incision is small, there are less complications such as chances of infection than with an open surgery. Performed at an outpatient center – Arthroscopic rotator cuff repair procedures are typically performed in outpatient centers instead of hospitals. This helps patients get back to their lives quickly. If you or a loved one is experiencing rotator cuff pain or discomfort, it’s important to get it checked out. Your treatment options will depend on the severity of your condition. Talk to a doctor about whether an arthroscopic rotator cuff repair is right for you. The experts at Total Orthopaedic Care have a wealth of knowledge and experience working on rotator cuff repairs. Our doctors employ state of the art technology and treatments to customize an effective treatment plan for you. Call 954-735-3535 or schedule an appointment online at our Pembroke Pines office or our Lauderdale Lakes office. For your convenience, we offer same day appointments.